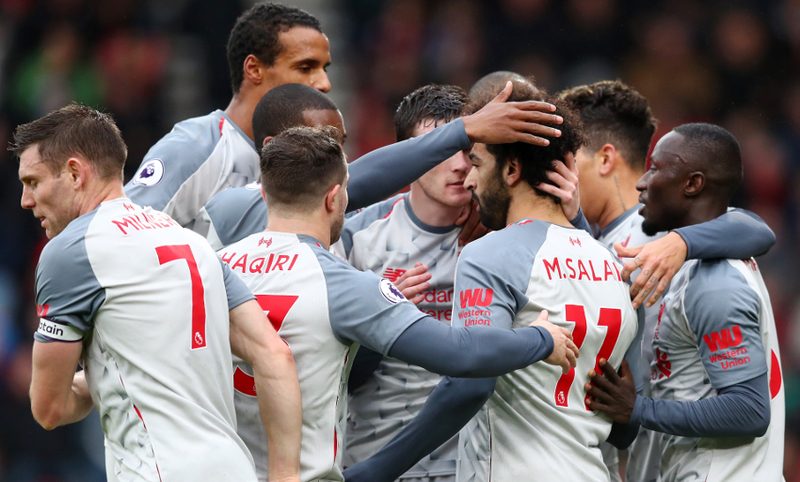 Jürgen Klopp saluted Mohamed Salah's 'exceptional' finishing after the forward hit a hat-trick to inspire Liverpool to a resounding 4-0 win over AFC Bournemouth. 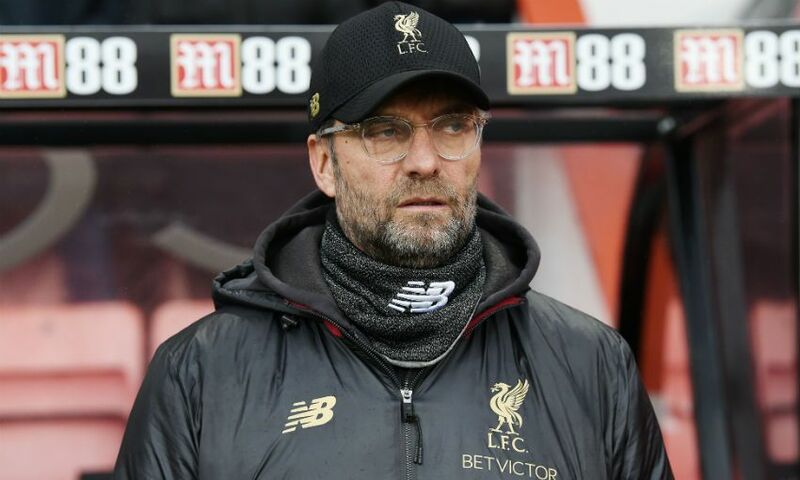 The Reds moved top of the Premier League - temporarily, at least, with Manchester City facing Chelsea later on Saturday - by extending their unbeaten start to the top-flight season to 16 games with an impressive display at the Vitality Stadium. 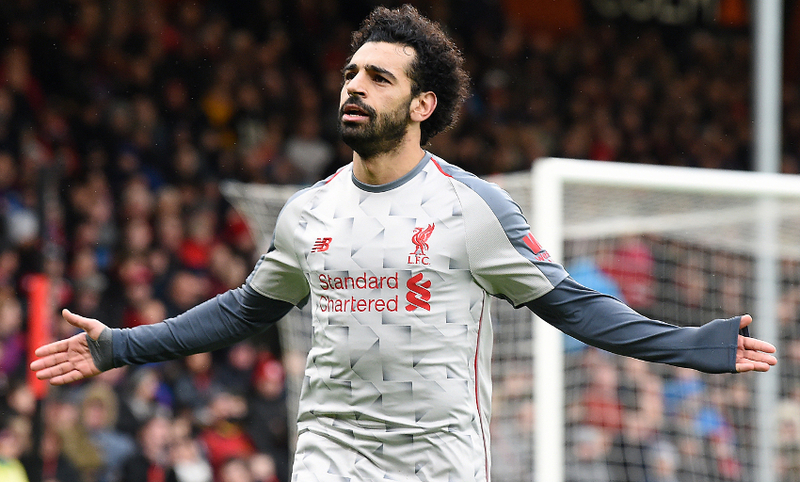 Salah’s treble - the first of which arrived in the 25th minute, before two clinical strikes followed in the second half - was supplemented by Steve Cook’s own goal as Klopp’s side registered their 13th Premier League win of the campaign. Pretty much [it was a perfect result]. Football is a game in which you will never see a perfect game. In the end when you see how it developed, especially with the scoreline at the end, it is perfect, but in the game we had a lot of things we could have done better. Second half not that much, but first half we controlled the game, which is exactly what we wanted to do. The counter-attacking threat of Bournemouth is massive. They are really good in that, even though I know Bournemouth had to replace three very important players for them today, but still we controlled it. I didn’t like too much that we didn’t change the rhythm more often, we still have to adapt to that and improve it. We could create more but all the runs, all the little runs, we did, they came all together and we benefited for the first goal. With all the little runs, we opened two gaps and then Joel passed the ball through, Bobby could turn and shoot and Mo scores the goal. We said at half-time that so far it was OK but not more, we had to do better because we can do better - the counter-press, we had to keep it up, putting them under pressure if we lose the ball. The changes we made with Adam, Sadio and Hendo, they really helped a lot and you saw after 2-0, the boys really wanted to play football. Then it was fluent, then it was good and really difficult for Bournemouth. I think Eddie Howe is one of the best managers I’ve ever met, to be honest, so how could I say anything different? I know I could probably draw the goals we conceded, but we let Bournemouth come back in the game, that’s completely different. Unfortunately I cannot say it will never happen again, but we are really more controlled in these situations and that was a big step for us, very important. In our good moment last year we were really flying and everything was brilliant… until we were not flying! Then the difference between the flying and not flying moments was too big, so we always kind of kept the door open for the other team. It was something we wanted to work on and that’s pretty much worked out, so that’s good. Of course, a few new players came in but all the other players are now much more mature. This squad is still not too experienced; we have worked together for a while but we have to improve. That was always clear and it was an important part for us. I think I said a couple of years ago that we have to write our own history, so if that’s part of the history then of course it’s important, but it’s not the most important thing in the world that we equal a team’s record from 30 years ago or whenever it was. The thing is that we just really want to be as successful as possible. Nobody knows what that means, nobody. This league is so difficult to play in, but 42 points I usually had in April and now it is December. That’s massive and it’s exceptional and it is all to the boys, they deserve all the credit for that because they really fight for each yard. That’s nice but it’s only for today, today is the Bournemouth celebration day: let’s go home, eat, sleep and recover immediately. Then tomorrow a little session; Monday, little session; Tuesday, Napoli. That’s how it is, that’s the life [and] it’s OK. But for today, all good. Nobody should be surprised about that! His desire is obvious to score goals and that’s good for us, that’s very good for us. I heard meanwhile the first goal was offside - before people start making it too big, that didn’t happen a lot that we score a goal that is offside. It’s just really brilliant what he did and I like that mindset. Of course a lot but we all know that. We could write a book about Virgil’s strength, we could write a book about Alisson’s strength, but look what Joel Matip did today, how good he was and he has absolutely no rhythm. That’s the life of a professional football player as well, he trains on the highest level and he’s not even in the squad sometimes. Then we need you, play, and then he had a difficult start against Burnley and plays that game and this game. It’s not about one person, what Andy Robertson did today. Millie, game number 500 and he plays at right-back and he would probably have preferred each other position on the pitch today, but he did the job and that’s all how we come together then. How we defended in the centre, the centre-half alone can do nothing, the goalie alone can do nothing - sometimes a lot but nobody can perform wonders, so you need all these boys around. It was a common development, but for each development you need the right players, that’s how it is in football and thank God we could sign these boys.